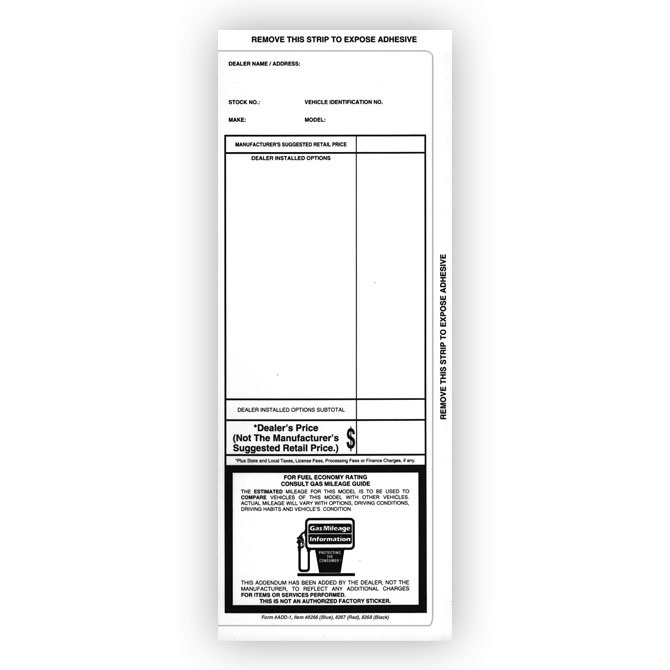 Item Size: 4-1/4" x 11"
These Stock Addendum Stickers are pre-printed with a stock design, self-adhesive, and seals on 3 sides. 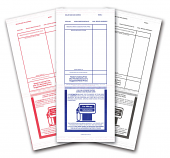 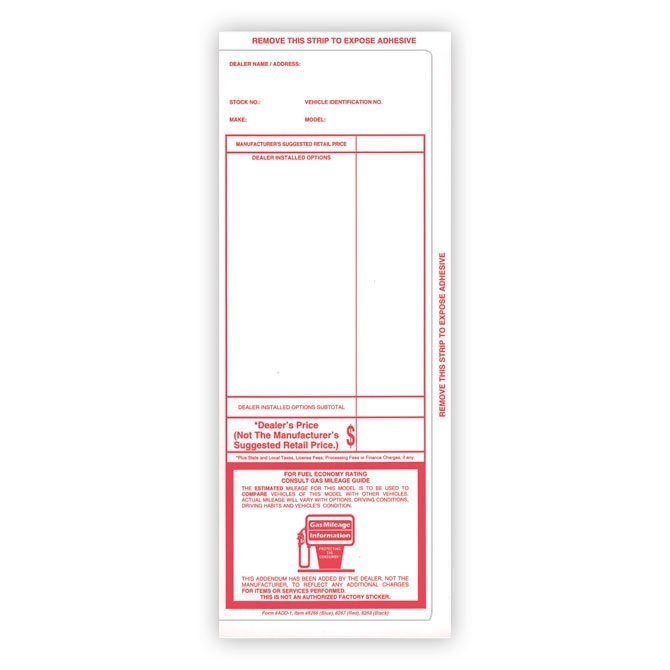 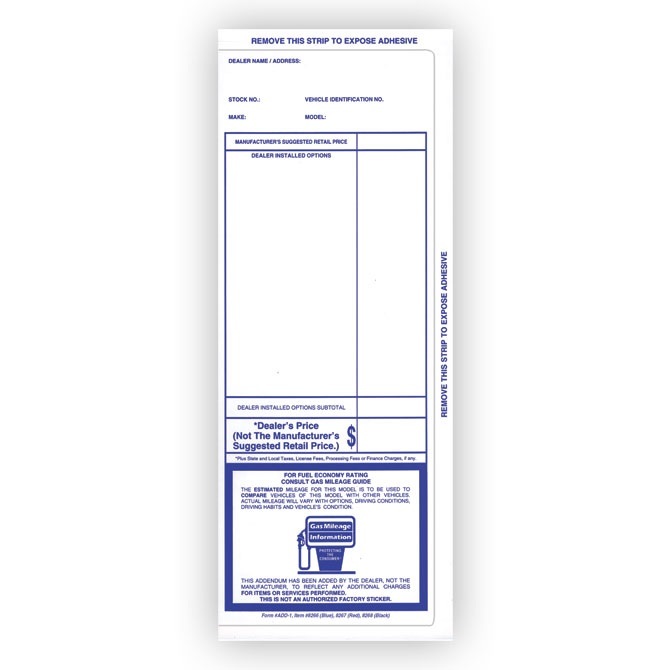 Addendum Stickers coordinate with the Manufacturer's Sticker to document Dealer Installed Options on vehicles at your Automotive Dealership. 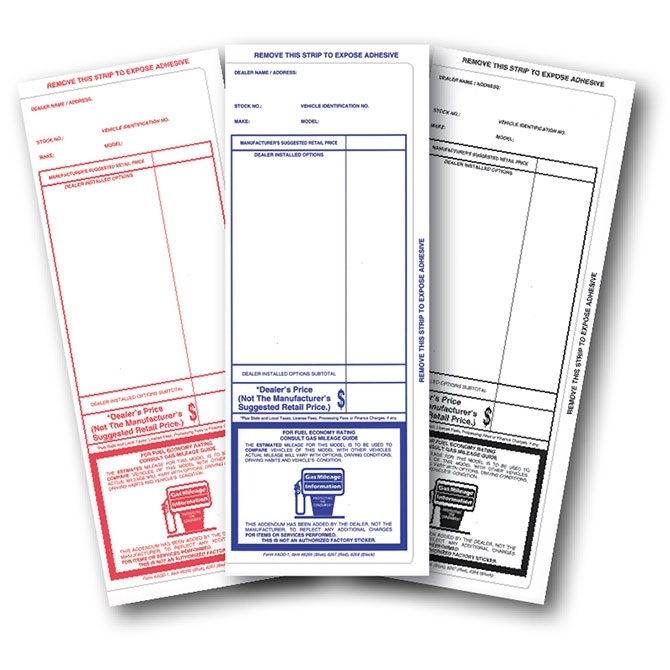 The stickers come three colors - red, blue, or back ink.